I know this is a big event on a regional basis, but I'm so far away that it is difficult for me to make it to Silver Springs. I would also need to add to my double hose inventory as most of my stuff is Healthways, USD, Nemrod and Sportsways. I have the guts to an AMF Voit 50 Fathom two hose, but not the case. With not too much $$, I could get a plastic case for it from The Scuba Museum, and have thought about that for a number of years, but that's not what was seen on Sea Hunt, and would probably be disallowed by the protocol. I'm one of those kids who was watching Sea Hunt after my YMCA swim team practice in Salem, Oregon in the 1950s. While Jacques Cousteau was the main factor in my getting into diving, Sea Hunt was fun to watch, and after having dived for a while, critique. We would watch it, and see the scenes where the regulators were switched from the old green straight mouthpiece to the newer grey Voit mouthpiece, in the same dive. Or a diver with twins would suddenly have a single tank on, or the dives continued with the J-valve down. As teenage divers, we would enjoy the series and the stories, but developed a way of looking at them as a Hollywood production which was somewhat detached from reality. --Is the noise I was hearing the props of the tourist boats overhead? I could not see anything that would make such a racket. --Are there three statues in the center of the frame? If so, what do they represent? --There is one guy in the midst of the divers in modern gear. Is he videoing the event? --Was there any or much TV coverage of the event? That fish (perch?) kinda stole the show for a few moments there. As a diver with a degree in zoology, I am interested in the aquatic life in Silver Springs too. Please thank all who participated for me as this does represent vintage diving to the public, and is much appreciated. At first the noise you can hear is Jerry Lang's scooter and then the noise you hear is from the propeller blades of the glass bottom boats above us. Yes there was a local newspaper photographer in modern gear taking photos for the newspaper. No TV coverage that I'm aware of. The statues are left over from a movie a believe. Also somebody had a really noisy regulator. It would make screeching noises upon inhalation. Creepy sounding. Those fish look like our Sunfish around here. I'll jump in here regarding forum traffic and participation. I moderate the DOXA watches sub-forum, over on Watch-U-Seek, and we run into the same issues. It's a friendly forum, unless someone is purposely trolling, but there's always more lurkers than participants. I guess that's just the nature of forums as a whole, but if more people would participate, it's a far more enjoyable experience for everyone. While this forum isn't super busy, though it seems busier than the VDH forum, I really like it here. Did things used to be busier here, and taper off in the past few years, or is this level of traffic the norm? On the DOXA forum, it used to be much busier, and has tapered off in the past five years. Oh yeah, the Seahunt Forever event looked like a lot of fun! I really appreciate the level of accuracy and authenticity that the participants went to with their rigs. Nothing ruins something like this than a "good enough" attitude. It's either right or it's not, and there's no in between. Maybe I can take my kids to watch the divers at the next one. As far as online forums go, this site is pretty good! There are a few "personalities" I avoid on here, but most people I really like. I get on pretty good with the vast majority of members. I have had immense support here, as well as people outright giving items for free. I used to go to another vintage dive forum, but never felt like I belonged there like I do here. It seemed to be more cash making oriented than helping Divers out. Then they started the issue with us Healthways Divers and that was it, no more going there. 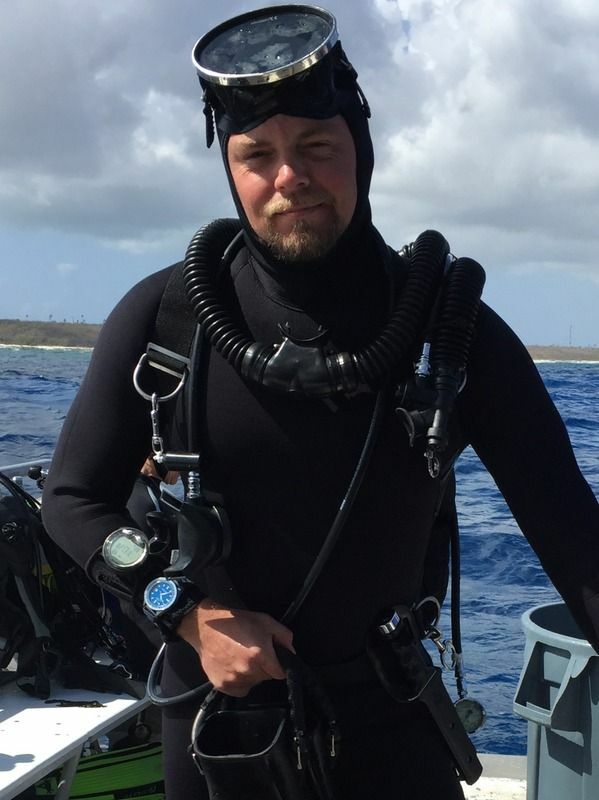 I was on ScubaBoard.com about three years ago when I first was getting certified. I did not stay long there, just got a bad vibe there. I've considered going back to the Vintage section, but have yet done so.